Monterey Bay luxury whale watching trips start in the closest port to the nutrient-rich Monterey Submarine Canyon to maximize your time with the whales. Due to popularity, book in advance. This is a jewel in the crown of Monterey Bay nestled in the north harbor of Moss Landing. Special events open to public. See Calendar of Events. Call for membership. Enjoy an outstanding array of wildlife aboard a stable 27-foot pontoon boat; playful otters, curious harbor seals, boisterous sea lions & 100s of bird species. Tours depart from South Harbor A Dock. Elkhorn Slough is one of the top 10 wildlife viewing destinations in North America, with the largest remaining raft of southern sea otters on the planet. We guarantee wildlife spotting on every outing! We offer a full range of equestrian services from an exhilarating ride along the beach to a romantic horse-drawn carriage for your wedding or special occasion. Paddle Elkhorn Slough, kids programs, private tours, see otter viewing, classes with ACA trained instructors. We have introduced over 300,000 people to our unique & beautiful area. Monterey Bay 2-3 hour whale watching trips on the 50-foot Kahuna. Fish for salmon, rockfish, halibut, sea bass & albacore. The Kahuna offers open party trips. We sell out so reserve early. 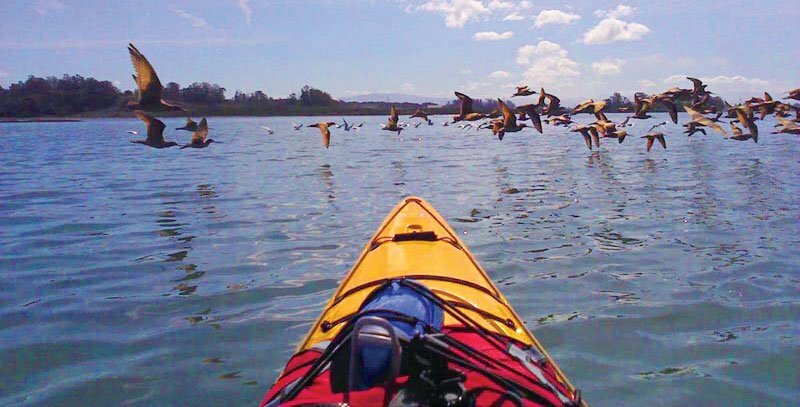 Glide your way through the beautiful Elkhorn Slough on our safe, smooth riding water-bikes. This is definitely the gift of fun, fitness & nature that make up the Elkhorn Slough experience. Guided tours throughout the Elkhorn Slough watershed: Salinas River to the Pajaro River, where 340+ species have been recorded. Tours throughout Monterey County. Marine biologists provide in-depth & engaging wildlife insights. The deep canyon waters close to shore are teeming with life: feeding whales, dolphins, orcas, sea otters, sea lions & birds.